Navy called in to deal with two unexploded sea urchins! 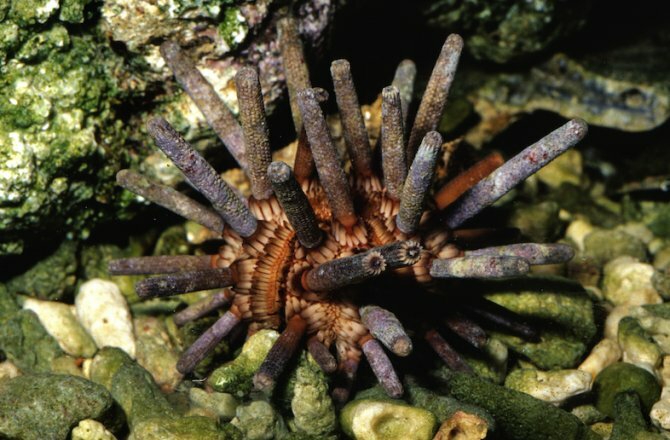 The Australian Navy were called in last week after a snorkeler mistook a pair of sea urchins for unexploded anti-shipping mines. Even after he was shown photos of both mines and urchins by police — who were rather dubious about the man’s report — he was still adamant that they were mines (compare the two for yourself in the picture below and at the top of the page and see if you can tell which is which). As a precaution a maritime exclusion zone had to be placed on the area until the Navy came in to take a look. They discovered two 'healthy sized' sea urchins among the rocks.